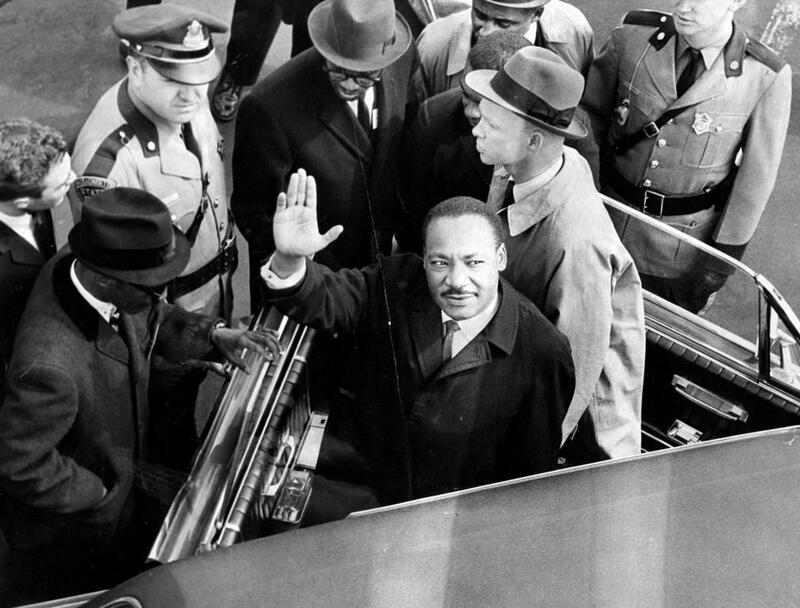 Martin Luther King Jr. entered a car at Logan Airport in 1965. Should Boston’s memorial to Dr. Martin Luther King Jr. and his wife, Coretta, be located on Boston Common or in Roxbury? Last Friday the city got a deeply ambivalent answer: both. 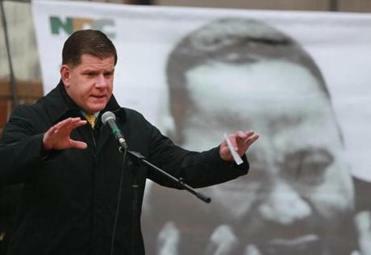 Mayor Marty Walsh announced in a statement that the project — which is to be privately financed — has grown in scope significantly. It will now include an outdoor memorial on Boston Common and an indoor “learning center” in Dudley Square, to be developed in collaboration with Twelfth Baptist Church. A selection process to pick a sculptor for the memorial will be held this fall. Plans for the indoor center are at a much earlier stage. The whole thing, though, constitutes a fascinating and long-overdue recognition of the civil rights legend’s ties to Boston, the city where he earned a doctorate degree, met his wife, and cut his teeth as a young minister. The project is effectively the brainchild of tech entrepreneur Paul English. English, the cofounder of Kayak.com, among other ventures, came up with the idea and pledged $1 million of his own money to begin the process of creating it. City officials have selected five art finalists who will each receive a $10,000 stipend to develop design proposals that will be available for public comment. He was wise to quickly recognize the inherently public nature of such an undertaking. The nonprofit he founded, MLK Boston, held a series of community meetings on the memorial, hearing from the public on such questions as what the memorial should look like and where it should be located. English always had a strong preference for the Common as a location, as did City Hall. A memorial there will get three times the visitors of one placed in the neighborhoods, and also has more appeal to the deep-pocketed donors he has sought to attract. The proposed memorial has raised the fascinating question of who owns the King legacy in Boston. He was a citizen of the world, obviously. But he was a resident and minister in Roxbury and the South End. Placing a piece of this project in each area avoids a needless conflict, while creating the opportunity to develop something unique. English conceded that the cost of the project, once estimated at $5 million, could be double that. He said he is concentrating, for now, on locking down large donors. English always envisioned the project as more than a piece of public art. He hopes it can be a spur for a new generation of activism, one he believes Boston sorely needs. The way to honor King’s legacy is to continue the work. English pointed to the Globe’s series last year on race in Boston as an example of why that work is so important. “Reading the Spotlight series broke my heart as someone who grew up in the city,” English said. “But my black friends said, ‘What surprised you about that?’ ” That disconnect isn’t uncommon. But just as Boston has embraced the idea of discussing race, it is suddenly open to a permanent celebration of King’s mark on the city. In a place whose sense of its past has never been as inclusive as it should be, that recognition is long overdue. Adrian Walker: Where to put an MLK memorial in Boston?